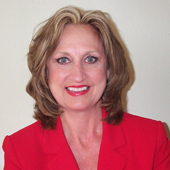 Toni Vacker has been involved in real estate since 1985. Having been in the industry for 30 years, her resume includes working with some of the top real estate management companies in Houston, TX. She began her career in Property Management working her way up through the trenches, from Onsite Leasing, Assistant Manager, Manager, Regional Asset Manager, Supervisor, Marketing Director, Vice President to ultimately forming an exclusive Real Estate Management Company (Gulf Coast Concierge) in Galveston, TX, in which she was the President/CEO /Owner. Ms. Vacker’s motto is “Inspect What You Expect”. Her experience includes all phases of real estate sales and acquisitions, property management, feasibility studies, due-diligence, multi-family properties and commercial properties. She spent considerable time supervising properties in Wisconsin, Florida, Tennessee, and Texas. Furthermore, she consulted with property owners in Canada. Toni's success resulted from the professional attitude and experience with all phases of real estate. Her ability to think outside the box enabled her to successfully build Gulf Coast Concierge to one of the “Fastest Growing Companies” in Galveston, TX from 2006 to 2011, with annual gross income exceeding 2.5mil. In 2008, Gulf Coast Concierge was voted the "BEST RESORT RENTAL MANAGEMENT COMPANY" on Galveston Island. Her emphasis has been on honesty, loyalty, and integrity; she recognizes they are the cornerstone of any business. In 2011, Toni was considered “Top Producer” with HAR based on closing over 3mil in real estate sales. In January, 2012, she sold Gulf Coast Concierge to Jason Keeling (Ryson Real Estate). Toni is now working with Ryson Real Estate specializing in Sales and Acquisitions. If you are interested in buying, selling or renting your property, no job is too large or too small. Toni’s experience coupled with her strong work ethic enables her to produce results.